I agree that Tris always had a death wish. Plus, once we saw Tobias’s POV in the novel we all should have realized that Tris was going to die. I also agree that the death didn’t make a whole lot of sense though. I never even factored in that Tris should have had a gun. For me, I didn’t understand why David would shoot to kill instead of shoot to subdue. Tris has the ultimate DNA, so he wouldn’t want to kill her because then he’d lose his precious samples. Plus, he still has feelings for Nathalie and Tris is his link to her. David killing her felt out of character for me. Hey thanks for the response. I agree with what you’ve said about David, especially when it comes to his feelings for Nathalie. The only thing I can say is that maybe his bitterness over her choice to remain in the city and marry someone else clouded his judgment. But I think you’re right, he may have been angry but it seems more sensical that in the end Tris’ connection to her mother would change his mind, not to mention the DNA. Why go through all this trouble to harness and farm the best DNA only to destroy it? The fact is the holes in the story are all a little too big to ignore. I really just think all the story needed was a little more refinement. But like I said overall I still love the series and I love that Roth wasn’t afraid to take some chances. I have never felt so angry, disappointed or upset at the end of a book. I understand that this is the authors work and she is entitled to end it any way she likes. But through two and a half books I felt hope. Hope for the characters who were broken from violence and loss. Even though i disliked the sudden change in perspective and some of the less than believable plot twists, underdeveloped thought processes and the use of words most teenagers wouldn’t even imagine using, three quarters of the way through this book I was prepared to read it again. But now I can’t even face it. In the end I felt nothing but emptiness, sadness and despondency. Even if the ending made sense to the author she must have known that the fans would not appreciate it. There were so many options open to her which the fans would have been satisfied with. It didn’t have to be happily ever after but it could have been anything with our two heroes side by side. I mean, for goodness sake, even JK Rowling didn’t kill Harry Potter, although that’s clearly what she could have done. Just because it can happen it doesn’t mean it has to. Unfortunately, I am lost to Roth as a fan. And I am sure many others are as well. I will never buy another Roth book again. To think that she would like fans to now purchase her Four book is beyond laughable. Especially after hearing of her apathy towards the books fans. It would be wise for her to remember without fans there would be no sales and hence no books. I understand where you’re coming from, but you have to kind of respect that she just did things her way. I mean think of how angry people were with J.K. Rowling when she killed Dumbledore. But when you look back, even if you still hate the decision you have to appreciate the guts it takes for a person in their position to make the choice that they want – instead of catering to others. That being said I do think she could have responded to all the uproar in a more understanding way, perhaps if she’d been a little more understanding of how her fans felt about Tris the situation wouldn’t leave such a bitter tastes in the mouths of so many. Awesome review! You have a lot of great points! 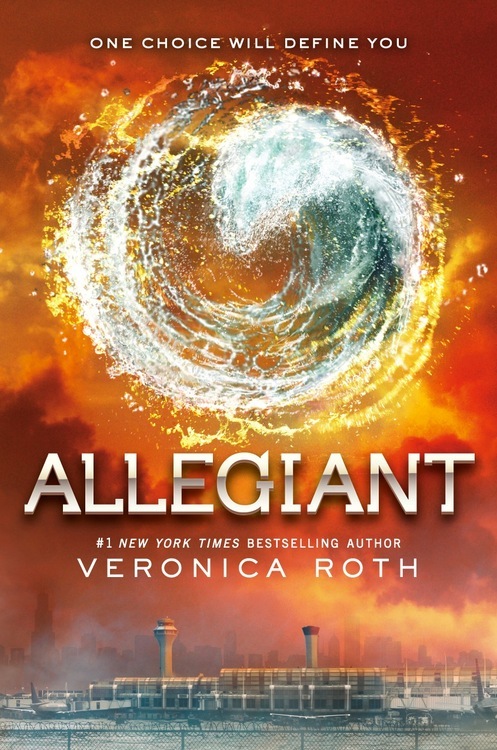 I loved the vulnerability with Tris and Tobias too – beautiful depiction of a relationship! I also agree with Tris having a death wish, and I feel your thoughts on selflessness vs. sacrifice are thoughtful and spot on. For me, as a fellow author, I also appreciated Veronica Roth for having the guts to write the ending she did. Dystopias are not all rainbows and butterflies, yet they can still uplift and inspire us in their own way. You can check out my review here if you want. Happy reading! I’m so glad someone sees things from my point of view!